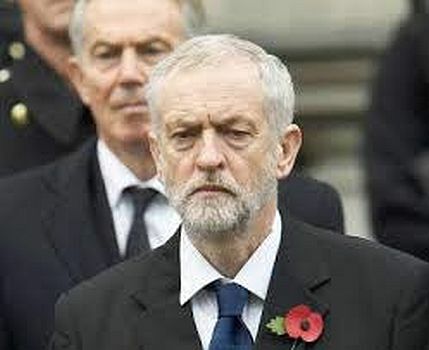 Corbyn and the Left: ‘New Politics’ part of the problem not the solution. We have received the following contribution from a young sympathiser of the Communist Left which we have no hesitation in publishing not only as a contribution to the debate on the crisis of the British ruling class but to recognise the fact that a new generation is increasingly taking up the task of developing an independent movement of the working class. We cordially invite readers'comments. Following the EU referendum, and the success of the Leave campaign which won with 51.89% of the vote, the politics of the British ruling class is in a bit of a mess. As we showed in our article on the Brexit vote (see leftcom.org) capitalism’s insoluble economic crisis is undermining the old political order. For the Tories, the result triggered a leadership contest as Cameron, the face of the Remain campaign, had to resign. A number of even more unsavoury characters now compete for his position. For Labour, the result served as a signal for the centre and the right of the party to carry out a coup against their leader. Corbyn stands accused of supporting the Remain vote only reluctantly, but by this point any excuse would do as the Blairites increasingly want to pull in the reins. The Labour left is now rallying once again, in a bid to #KeepCorbyn as their leader. The traditional ruling classes and their parties throughout the world have no answer to the global economic crisis of capitalism. They are losing their grip and not just in the UK. The rise of so-called “populism” is just one symptom of this. In 2013 we saw the growth of UKIP, a party of the Eurosceptic anti-immigrant right with a stock broker leader who plays the act of being ‘one of the people’. In 2014 the Scottish independence referendum, with a turnout of 84.6%, the highest in the UK since 1928 when universal suffrage was first introduced, was celebrated by both left and right as the ‘greatest democratic experience in Scotland’s history’. The referendum cemented the Scottish National Party as the main party in Scotland overturning decades of Labour dominance. In 2015 Corbyn was elected leader of the Labour Party, with 250 000 votes in his favour, and thousands of new members. And finally this year the EU membership referendum was called by Cameron in order to calm down the Eurosceptics within his own party. The turnout of the referendum was 72.21%, higher than any recent election in the UK. Now with a second Scottish independence referendum on the horizon, and the leadership crises in two of the biggest British parties, increased participation in these political spectacles is not likely to stop any time soon. Already in major cities there are rallies in support of Corbyn. Of special interest here is the renewed capability of the Labour Party to bring thousands back into the dead-end of parliamentary politics. Much of this is thanks to Corbyn and the election contests, as even some of those who would normally not get involved in Labour, suddenly have changed their minds (an article published by the anarchist Freedom Press appeals to the left to ‘#KeepCorbyn as a transitional demand’!). Just over the recent crisis the party has gained 60 000 new members, many joining only to vote for Corbyn. For British politics these are huge numbers (the entire Liberal Democrat party membership is about 60 000), but they may sound more impressive than they are in reality. There are three ways to have a say in a Labour leadership election: 1) join the Labour Party as a member (which requires a monthly membership fee), 2) become a supporter (which only requires a one-time payment of £3), or 3) be a member of an affiliated trade union. Whichever of these categories a Corbyn enthusiast may belong to, it doesn’t necessarily mean they will be engaged in party structures or stay active beyond just voting in the election contest. This is especially true for many young people, who increasingly get involved in politics on an ad-hoc basis (it’s not uncommon to see someone jump from Labour to the Greens, and then once again to Labour just to support Corbyn). Nevertheless the participation of self-avowed communists or even anarchists in Labour has to be explained. The history of the party, it’s origin as a platform for trade union bureaucrats, and it’s many betrayals both in and out of power (be it support for both World Wars, sending troops against striking workers, or the neo-liberal turn) are not a secret. Labour is a party of the capitalist class and always has been. At best, it tried to moderate some of the more nasty elements of the system; at worst it embraced them whole. Yet many leftists still believe that it can be transformed, that it can be made a ‘workers’ party’ again. Others join it out of opportunism – these groups may want to split the party or just recruit new members. Historically the most successful example of this was the Militant tendency. In the 1970s these Trotskyists were able to build a base within Labour, grow in size and by the 1980s dominate the Liverpool City Council. It didn’t take long for Labour higher-ups to realise what’s happening, and soon the process of expelling the entryists commenced. By the 1990s Militant abandoned entryism, formed its own ‘true workers’ party’, the Socialist Party of England and Wales, which nowadays stands in elections as the Trade Unionist and Socialist Coalition. Unsurprisingly, the electoral front has not been fruitful, and now we find SPEW as one among the many groups that sing the chorus of defending Corbyn. And so the cycle starts again. The left-wingers in Labour right now have to deal with many of the same problems as Militant did. Some have already been expelled, others hide their aims and politics to avoid it. Every once in a while there is an article in the news decrying the ‘hard-left’ that is wrecking Labour. It turns out that the biggest enemy of the Labour left and Corbyn is actually their own party (particularly the Parliamentary Labour Party). What’s more, a look at Corbyn’s policies reveals how inoffensive he is to capital. A crackdown on tax avoidance, higher income tax for the wealthy, ‘people's quantitative easing’, opposition to TTIP, and [gasp!] nationalisation. His vision for new politics is not drastic even by petty bourgeois standards – at the end of the day, ‘Labour’s new leader wants a prosperous economy’. The attempts to appear ‘electable’ have led McDonnell to claim that ‘Labour will tackle the deficit’ and that ‘we in the Labour Party have to show [the public] how we will act as a responsible custodian’. And that’s what Corbyn will be at best – a custodian of the capitalist system. Momentum or the Labour left in general may shout about socialism, but the programme behind which they have rallied is strictly that of capitalist reform. This is not unlike the other left populist projects across Europe, such as Syriza, which tried to ‘save capitalism from itself’, or Podemos, which even according to finance investors ‘can improve Spanish capitalism’. Corbyn’s ‘new politics’ certainly sounds awfully familiar to the ‘l'autre politique’ of François Mitterrand of the French Parti Socialiste, who, elected in 1981 on a programme of reform, soon after unleashed a programme of austerity instead. While naïve optimists hope that Corbyn in power will not turn out as bad, history shows that even a mass movement will not stop a social democrat from capitulating on their promises. The role of Internationalist Communists is to dispel illusions in reformist agendas and show how they fail to disturb underlying capitalist dynamics. While the Corbyn phenomenon may be a positive sign that more and more people have begun to question the current condition, as a response to capitalist crisis this is not enough. Do not depend on left leaders of capitalist parties, in the vain hope that they will somehow move against capitalism for you. Only an international working class, fighting on its own terrain and with its own independent organs, can bring the fight to capital and its states. The Independent‎, ‘Scottish independence: SNP doubles in size as thousands of Scots flock to join’ independent.co.uk . For the CWO take on this see leftcom.org. The working class is formed of many sectors with varying conditions. Whilst some regard their situation as tenable and are unwilling to engage in violent revolution, it is fairly clear that political formations of this nature will arise and command a certain level of support. Nationalism, pacifism, political perspectives aimed at recreating or maintaining a (mythical) past (including the fairly recent past of the capitalist boom), a thousand and one ideas that reject workers unity and armed revolution. But Marx regarded material conditionas as more powerful than ideolgy and as the crisis devastates living standards, we can expect the appeal of all the non revolutionary currents to wane. One interesting question which is likely not possible to answer is where we can expect capitalism to be challenged first. Are first world workers too steeped in capitalist ideology to play a leading role, or are they the ones, experiencing a fall from relative comfort, to lead the assault? Considering stevein7's third paragraph of 07-07, it was asserted in 1977 that we live in one world divided by class, and not a world divided into first, second and third worlds, and now it is asserted that that is still true today, but that the balance of class forces in the world has changed significantly. As contributors with comments are not allowed to blog, I must refrain from quoting the source of those assertions, but trust that in themselves they should be regarded as relevant to what you said. In any case, is it not the case that workers everywhere are being steeped in bourgeois ideology ? I agree that dividing the world into a fisst second and third is at best approximate and all I really mean is that uneven development means some workers are better off than others. I am not sure that all workers are equally steeped in bourgeois ideology, but all are subject to it. I posed it as a question. I am trying to get at the idea of different material conditions making workers more or less susceptible to revolutionary theory. I suspect that workers who are comparatively better off will be more resilient in their defence of capitalist ideology. However I am avoiding making an absolute statement on this. What if INSTRUCTION - combined to a certain extent of material conditions - made people more susceptible to revolutionary communist theory? In other words: can you really be engaged in a fight whose final achievements - not to say all the tactical action - you have not fully understood? Of course, the party must guide and give the consciousness, but in the best case - wherever an influential communist party would exist (and this is not the contemporary case anywhere) - the majority of "revolutionary masses" would (could) only "trust" the party, not really understand their own part in what was actually going on and why. This seems to me the case of 1917 Russia. and that's just the best (if not exactly the only) communist victory. What if the bolshevik party achieved the goal of communist revolution IN SPITE of the consciousness of the masses, who gave life to a communist revolutionary movement because "peace, land and bread" sounded like worthy reasons to fight for, beside anythingt things like communism, socialism, proletarian dictatorship ever meant to them (if they ever meant anything)? There is so much that is wrong and reactionary in the above post that it has to be totally rejected. "the bolshevik party achieved the goal of communist revolution IN SPITE of the consciousness of the masses" The Bolshevik Party did not achieve "a communist revolution". They only led the working class in the overthrow of the capitalist and imperialist Provisional Government. The Bolsheviks at the time knew that they had only posed the question of communism - it had to be solved by two factors - the masses themselves ("because no-one else can do it for you" Lenin January 1918) and it certainly cannot be achieved by a party (however "instructive"). The second factor was the international revolution. The Bolshevisk knew that without its support "we are doomed"
You quote one Bolshevik slogan "Bread, peace and land" but not the other "All Power to the Soviets". The latter was the real key to the Bolshevik victory since thye were the ONLY party (until the SRs split) which unequivocally supported that. For sure the question of communism could only be posed in Russia and depended almost totally on the revolution to spread abroad, I was not questioning that. Anyway, stating that the Bolshevik party only led the masses in the overthrown of the Provisional Government sounds a little restrictive of the historical fact to me: who was in charge after that overthrown - I mean, where did the commissars came from? A party which had a communist programme and led that overthrown in the name of that programme (whose realizability, as we agree, depended manly on an external factor). Sure the other slogan was "All power to the soviets", but I don't think there were even many other parties which stood for, as an example, immediate peace as the Bolshevik did (though I don't remember the exact stance of every wing of every party). I might have sounded a bit ungenerous to the mobilized masses in my previous post, though I'm not having any kind of "take": I just pose myself questions which sometimes I like to share (doing my very best to avoid dogmas and "ipse dixit"s, even the nicest ones). Thanks for your answer, I will sure read your pamphlet. Marxism analyses material conditions. By cutting through appearance in a scientific fashion, Marx laid bare the fundamental exploitation of unrewarded labour at the heart of the capitalist and all other class societies. This exploitation of labour is not obvious even to the exploited who think that their actual labour is being purchased, even though they may think that the price is the problem. However a Marxist understands that what is being bought is the ability to do labour for a certain period of time, not the actual labour performed. Capitalism can thus present itself as the pinnacle of individual freedom yet under the appearance is a material reality; the vast majority are subject to the minority who control the means of production. By failing to understand the capitalist mode of production, by rejecting the scientific theory which Marx presented, today's social democrats and allies who style themselves as socialists, are incapable of understanding the factors which lead to capitalism's inevitable crisis and the historic period in which we live marked by the assault on proletarian conditions. Rather than the workings of capitalism, whose negative outcomes can only be exacerbated, they imagine the fault lies with the mismanagement of capitalism by their political opponents. If they could retain power long enough, they could gradually improve the conditions of the working class to such an extent that without really noticing the crossing of the threshold, socialism would arise as a simple consequence not of capitalist crisis but of its constantly progressive line of march which they would oversee well unlike the inept right wing. Of course every Marxist understands what rubbish this is and that reality will always scupper the notion of endless progress and betterment under capitalism, but the idea persists and is of great use in the defense of capitalism from revolutionary challenge. There is no better tomorrow under capitalism, no option within capitalism to pursue, to vote for, to fight for, which will reverse the tendential decline in proletarian conditions. Its progressive period is over, like a flower which has bloomed, a youth grown old, there is no reversing the process of decay, the cure for capitalism, like the cure for old age, is death.